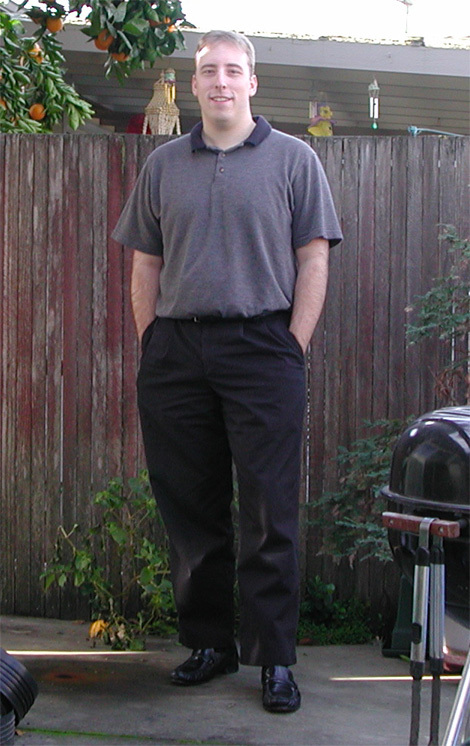 Me receiving my Brown Belt at the Kodenkan Jujitsu Dojo in June, 2002. 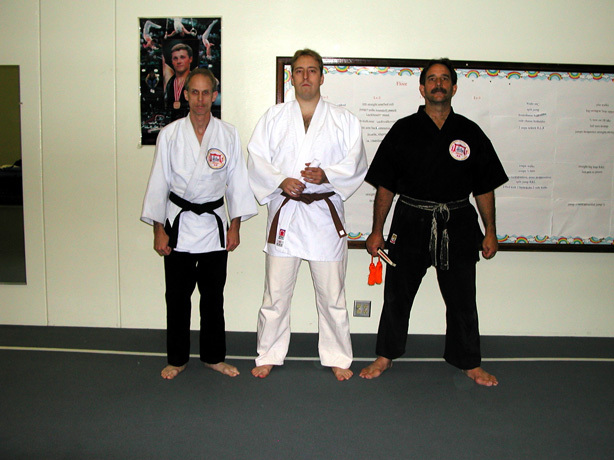 Left is Sensei Clive Guth, right is Professor Tony Janovich, my instructors. 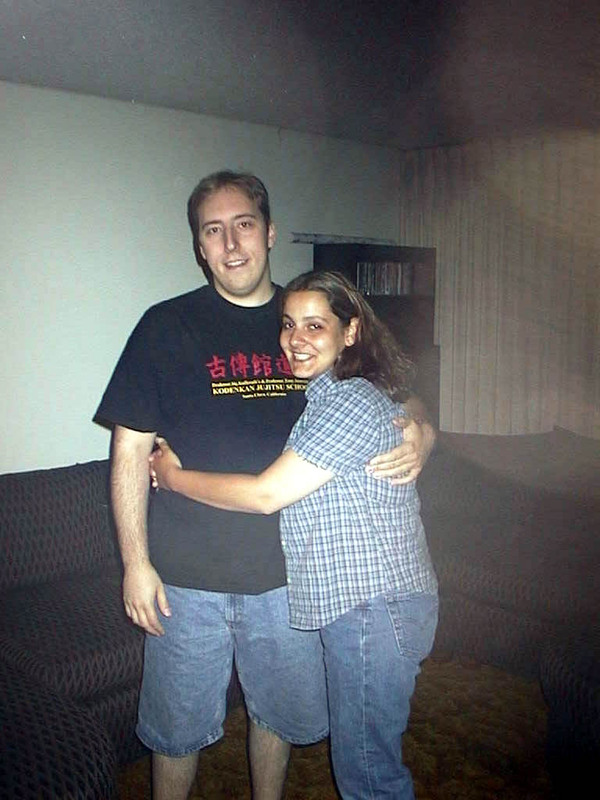 A picture of me and my friend, Irene. A picture of me and my friend vampy. 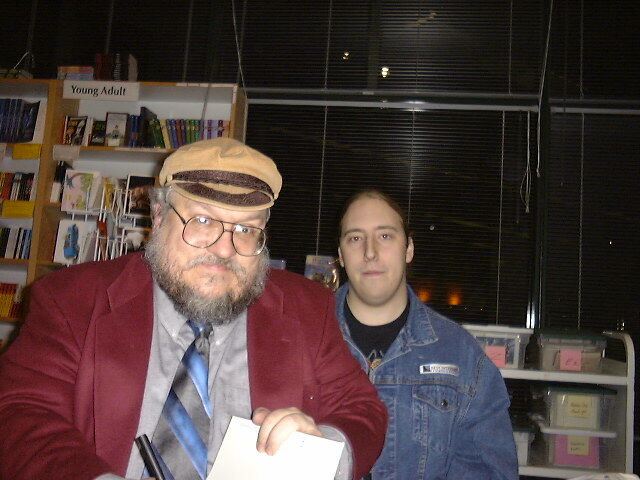 Here is another with GRR Martin. 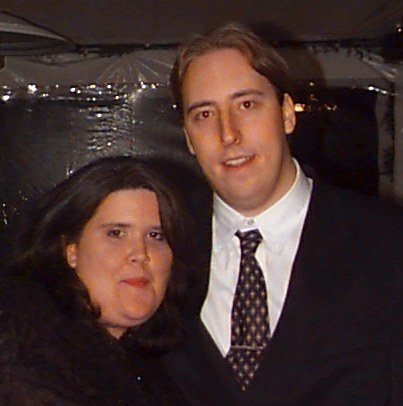 , dated 2/26/1999. This is at a book signing. The guy in the picture is George R R Martin, one of my favorite authors, who is writing the excellent Songs of Fire and Ice series. If you like high fantasy, I suggest picking up the first book, A Game of Thrones. Thanks to Rose Huegen for taking the picture, and to Martin! Various other pictures in my gallery! For information about me, click here.